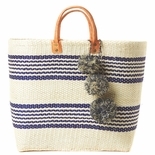 As Seen in InStyle, Elle, O Magazine & on Olivia Palermo! 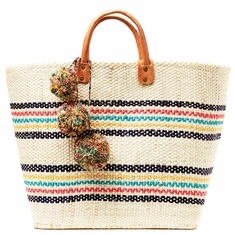 Our hottest tote of the year! 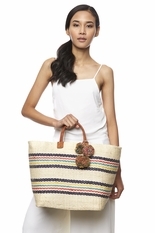 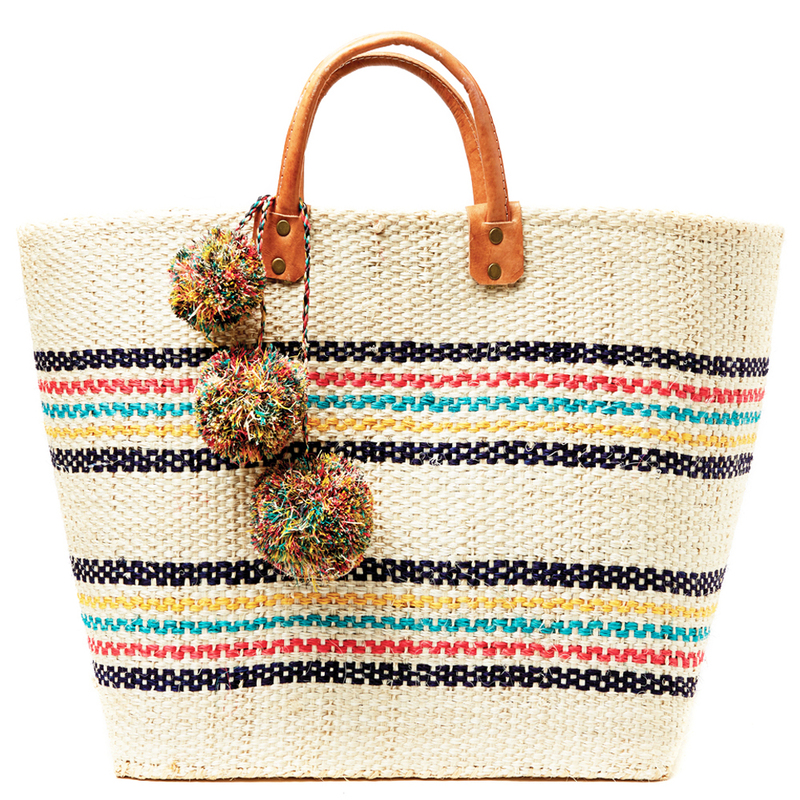 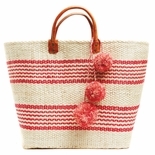 Vibrant stripes make our Caracas basket tote a resort season must-have. 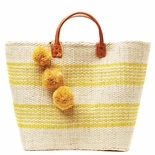 Handwoven sisal and seagrass with raffia pom poms, inside pocket and leather handles. 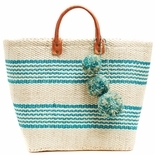 13"h x 17.5"w x 8"d with a 4" strap drop - Approximate dimensions, each piece is handmade.